This is a very British institution just off Regent's Street. It's sophisticated style with a history to match. The famous Liberty print fabrics have graced the homes of the rich and famous for many decades. 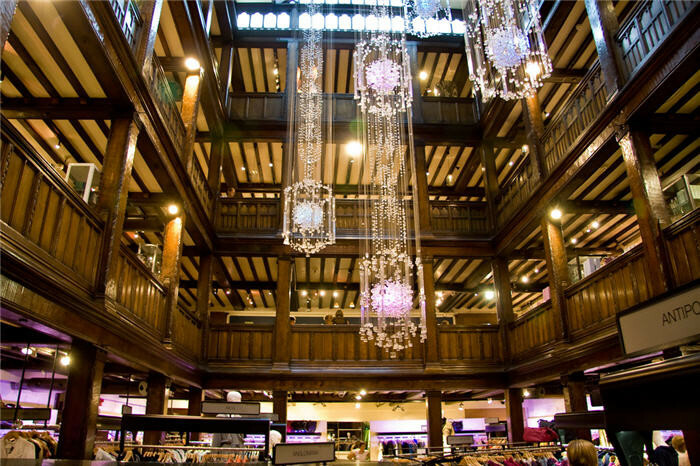 This department store is synonymous with tasteful, understated luxury. The Tudor facade is instantly recognisable to those who know and love Liberty. After browsing or buying some of the gorgeous fabrics, clothes, cosmetics and home accessories relax in the store's champagne and oyster bar. This is a place to shop 'til you drop. Please login or register to add you review. It's worth visiting this store just to browse. It's a great building and each floor is packed with gorgeous things.